​Flannel Check save lives through education and screening for all kinds of diseases and cancer. Join our cause, wear flannel and GET CHECKED! ​Flannel Check helps build healthy communities and save lives through education about early detection and screening for all disease states and cancer. 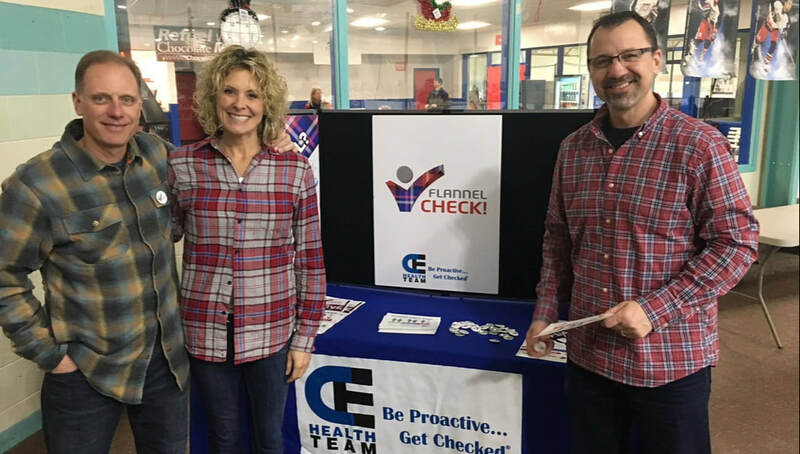 CE Health Team, a 501 (c) (3) non-profit developed Flannel Check to make a difference in our communities. CE Health Team is based in Northeast Wisconsin and works with companies and organizations across the country to help save lives through proactive health screenings. ​Flannel Check Week is an awareness event. During that week, wear flannel, schedule your annual physical, and donate to our cause! all kinds of diseases and cancer. Save your own life, GET CHECKED!